Does the language of 11-year-olds predict their future? Rates of psychological distress increased between mid-adolescence and early adulthood for members of Generation X, according to a new study. The UCL Institute of Education researchers were surprised by their findings, as based on previous studies, they had predicted that the mental health of this generation would improve as they got older. They analysed data on almost 4,000 people born in England, Scotland and Wales in a single week in 1970, who are taking part in the 1970 British Cohort Study. Study members answered questions from the General Health Questionnaire (GHQ), a survey tool used to assess their depressive symptoms, at ages 16 and 30. The study took into account family background, childhood cognitive ability, teenage behavioural problems and self-esteem, and educational qualifications from age 26. Depressive symptoms increased by more than 8 per cent for members of Generation X between ages 16 and 30. 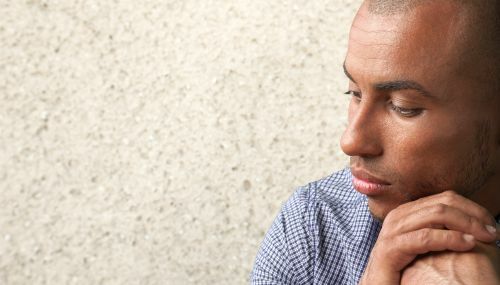 And, although women were more likely to have mental health problems than men at both ages, men’s depressive symptoms increased at a higher rate over this period. Their average GHQ scores had risen from 20.91 to 22.04 while women’s increased from 22.29 to 22.92.
more likely to lose sleep over worry. more likely to feel they could overcome their difficulties. The findings showed that people who had behavioural problems and low self-esteem at age 16 were more likely to have poor mental health at both ages. Childhood socioeconomic disadvantage was also a risk factor for psychological distress at age 16, but not at age 30. Cognitive ability and educational attainment were not associated with poor mental health in mid-adolescence and early adulthood. The report said that the increases in depressive symptoms between ages 16 and 30 indicated that experiencing psychological and behavioural problems during adolescence could have long-term effects on mental health lasting into adulthood. ‘GHQ score changes from teenage to young adulthood’, by Adrian Furnham and Helen Cheng was first published online on the Journal of Psychiatric Research website in March 2019. Our bibliography is a searchable database of published work based on our cohort studies. Search by keyword, author, date range and journal. Data from our studies are mainly available through the UK Data Service. We run training to support researchers who are interested in using our studies in their work.